There is an old expression, Pay me now or pay later. The idea is that either way you put it there are certain dues in life that cannot be avoided. Sooner or later you have to "pay the man". Pay now and avoid the consequences or don't pay now and face the consequences and pay more, much more, later. There are three things (at least) that we all like to avoid: paying, wasting time, feeling pain. So we don't go to the dentist because that involves all three. We do not properly secure our homes because it is a "pain in the neck", it cost a lot of money and takes up a lot of our precious time. We fail to properly maintain our car for all the same reasons. The result? Our car fails us, causing an accident. Or our car fails is annual renewal test and now we have a lot of expenses. The key is prevention, maintenance, and being diligent. Do not wait for your home to be overrun with termites and suddenly you face a bill of many thousands of dollars which you don't have. Do not neglect your teeth and suddenly you have huge bills for dental work, regular visits to the dentist at inconvenient hours, and a great deal of physical pain. We need to be smart. Invest a little now; your time, your money, even a little bit of pain or discomfort, and you will thank yourself in the future for being so smart. The same is true of self-defense. Do we know there is a need for self defense? Well, anyone who follows the news, or even speaks to other people, knows the truth. But do most people take any action? Even free to the public seminars often go unattended. Lets' look at what we like to avoid: We don't want to spend our time, or our money, or suffer even a little discomfort. So we "buy" illusions of safety while exposing ourselves to real danger. No matter where we go, there is the potential of danger, you can't hide forever. We try to hide from the inconvenient and uncomfortable truth. You can pay a little time, you can get out of your comfort zone a couple of nights per week, you can allocate some of your precious time, or, you can pay later. The problem is that the price you pay later may be a price you cannot afford. Or is someone coming to save you? 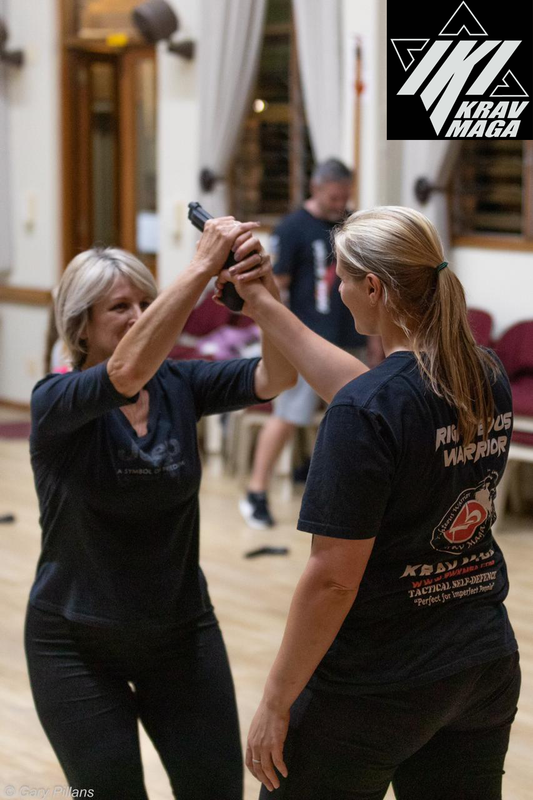 IKI Krav Maga on line distance training - Leading to ranks and certification. Personal Training - If you are interested in personal Krav Maga training please contact us on the form below.